Moroccanoil Moisture Repair Conditioner gently detangles and reconstructs hair while infusing it with argan oil, keratin, fatty acids and protein! This treatment penetrates deep into the hair to help restore elasticity and rebuild. Strength while repairing damage caused by chemicals and other environmental stresses. This unique formula is rich in vegetable proteins and will help bring out hair’s inner health, leaving it incredibly moisturized with a brilliant shine. This shampoo and conditioner has helped strengthen my hair, its a great product and its great for daily use!! My hair never feels weighed down, and the price is perfect for the amount you get! ProFolla Silk Moisture Shampoo focus intense moisture on the root and scalp adding rich moisture content to black and African American hair. Known to awaken hair follicles for the best scalp and hair reproduction conditions. 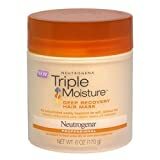 L’Oreal’s Mega Moisture Nurturing Creme quenches dry hair?s thirst with intense moisturizing properties. Mizani True Textures Moisture Stretch Curl Extending Cream Designed for coiled to extremely tight styles, this moisturizing, curl-smoothing cream helps to loosen and elongate tight, unruly coils without weight or residue. Defines highly textured strands by reducing frizz and shrinkage and revealing flexible, individualized spirals with a clean, touchable finish. Perfect for curl set and finger twist techniques. EverPure conditioners are creamy, protective formulas that help preserve and maintain color brilliance. Color-treated hair requires special care. The EverPure Sulfate-Free Color Care System protects and conditions hair for long-lasting color purity. The unique UV filters help protect color-treated hair against sun damage. It is intensive moisture treatment rescues even the most dehydrated hair strands. 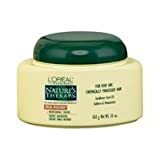 Neutrogena Triple Moisture Deep Recovery Hair Mask rehabilitates extra dry or over-processed hair with intense moisturization. Its weekly treatment is so concentrated, just a small amount is needed for hair to become soft, lustrous and shining in minutes. Olive penetrates to the center, Meadowfoam Seed helps moisturize the middle and Sweet Almond wraps the surface.